Words are not enough to fully capture what you mean to me but with these few words I hope I could covey to you just how special you are. From the first day I met you [Omolara] up to this very moment you’ve been the best thing that has ever happened to me. I was born to love you and loving you is my greatest accomplishment. You are the love of my life, the mother of my children, and the woman of my dreams. Your presence in my life as given me so much joy and fulfilment. You mean everything to me. You’re my partner, my betterhalf, my sunshine, my queen, my angel, my baby, my everything. Thank you for being such a wonderful woman, thank you for taking care of our kids, thank you for being there for me and for loving me. You make it easy for me to love you, to want to come home all the time, and to be a good husband and father. You’re my Proverbs 31 woman. A virtuous woman indeed. You’re a great example of everything a woman should be. You’re Godly, you’re caring, you’re hard-working and you inspire me. I love you more than anything or anyone. I thank God for blessing me with you. And I pray that God will continue to keep you, and His light will continue to shine upon your life and that you’ll continue to age with grace. On this your special day, I want to reaffirm that you’re still as beautiful as ever. I love you so very much. Happy birthday to you, my love!!! RE: OGUN COLLEGE SUSPENDS LECTURER FOR IMPREGNATING NURSING STUDENT: PUNCH’S DELIBERATE MISINFORMATION AND MALICIOUS MISREPRESENTATION OF THE NOBLE PROFESSION OF NURSING: WHAT SCORES DO SAMSON FOLARIN AND THE PUNCH NEWSPAPER HAVE TO SETTLE WITH THE NURSING PROFESSION? 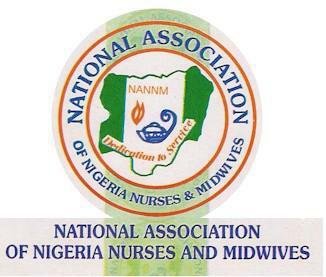 The National Association of Nigeria Nurses and Midwives (NANNM), Ogun state chapter has once again observed with dismay the above titled publication by a supposedly renowned newspaper, The Punch newspaper, and we are disappointed that both the correspondents and editors of a news outfit of such repute will descend so low to propagate outright misinformation to the unsuspecting public with a deliberate attempt to smear the image of the noble profession of nursing. The Punch newspapers has at different times published stories wherein persons who are neither registered nurses nor student nurses have been mischievously referred to as either nurses or student nurses with the malevolent intention of defaming the good image of the noble profession of nursing. 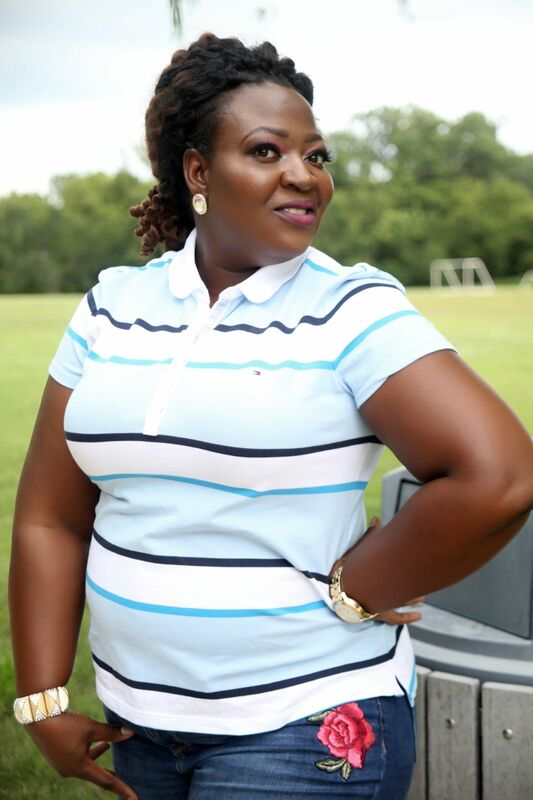 Some of such unscrupulous publications include stories about a student of the college of health technology, Ilese Ijebu and her lecturer involved in a pregnancy scandal titled “Lecturer impregnated me, rejects pregnancy, says nursing student. 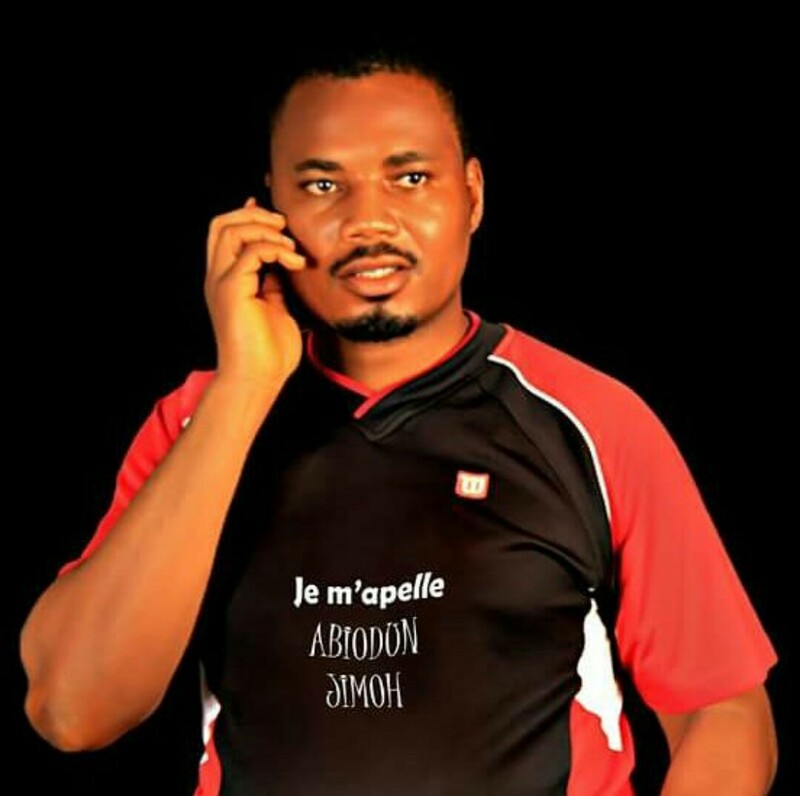 It wasn’t me, I used condom – Lecturer” on the 22nd day of May, 2017 by one Samson Folarin (@childofdkingdom). It is pertinent to note and inform well-meaning members of the public that the school, the student and the lecturer have nothing to do with the nursing profession as the school does not have the requisites to train nurses and neither the lecturer nor the student have anything to do with the nursing profession. The misinformation was thought to be an honest mistake when the story was initially published and attempts were made to correct the misinformation by contacting correspondents and officials of the newspaper outlet including the agent behind the story, one Samson Folarin, both in person and via phone calls but such efforts were rebuffed,as the same author using the platform of the outlet published three (3) different follow ups to the story using headlines that malign the appellation “nursing student” despite the fact there is nothing about the nursing profession remotely or closely associated with the stories. It is disturbing to note that this will not be the first time that The Punch newspapers have done similar publications wherein persons who are not nurses have been reported as nurses especially when such persons are involved in scandalous or disreputable acts. It is highly unfortunate that the editors and correspondents of the Punch newspapers; who are expected to be conscience of the nation and as such has been saddled with the responsibility of searching for the truth and disseminating correct information; have demonstrated deviance from such responsibility and have chosen to take the ignoble path of spreading misinformation and half-truths. Other such irresponsible publications include the story of a maid who stole a baby in a private hospital in Abeokuta who The Punch wrongly referred to as a nurse and that of a birth attendant who pulled off a baby’s hand in the process of delivery also in Ogun state inaccurately described as a nurse by The Punch newspaper now rapidly gaining notoriety in such matters. It is expected that for an organization of such reputation, the least qualifications for employing correspondents and editors should not be less than that of professionals and as such these calibre of persons are expected to not only know but also correctly inform the general public about the difference between professionals and non-professionals in the health and indeed all other sectors. However, the likes of Samson Folarin of the Punch newspapers and their editors obviously being quacks within the profession of journalism, have demonstrated their mental laziness by being unable to correctly identify who nurses or nurses in training are as differentiated from allied health professionals whom they erroneously portray to the general public as nurses. One would expect professional journalists to join in the fight against quackery in the health sector by playing the role of educating the public on the need to and how to identify qualified, registered and licensed professionals and patronizing only such while seeking health services but these ones (Samson Folarin and co) being quacks themselves have chosen to promote quackery in the health sector through their numerous publications targeted at confusing the public about the identity of nurses and maliciously denting of the image of the noble profession of nursing. NANNM, Ogun state on behalf of the dutiful, hardworking and immaculate nurses of this country hereby calls on well-meaning Nigerians to beware of the antics of these lots who have chosen to follow the ignoble part of unprofessional journalism and wants to drag the esteemed profession of nursing in the mud. We appeal to goodhearted Nigerians to identify them as mere mischief makers and ignore them. We further appeal to Nigerians to help us summon Samson Folarin and his cohorts with The Punch newspapers to be bold enough to come out straight if they have any scores to settle with nurses and the nursing profession rather than employ these infantile and irresponsible strategy of maliciously portraying nurses and nursing in bad light. 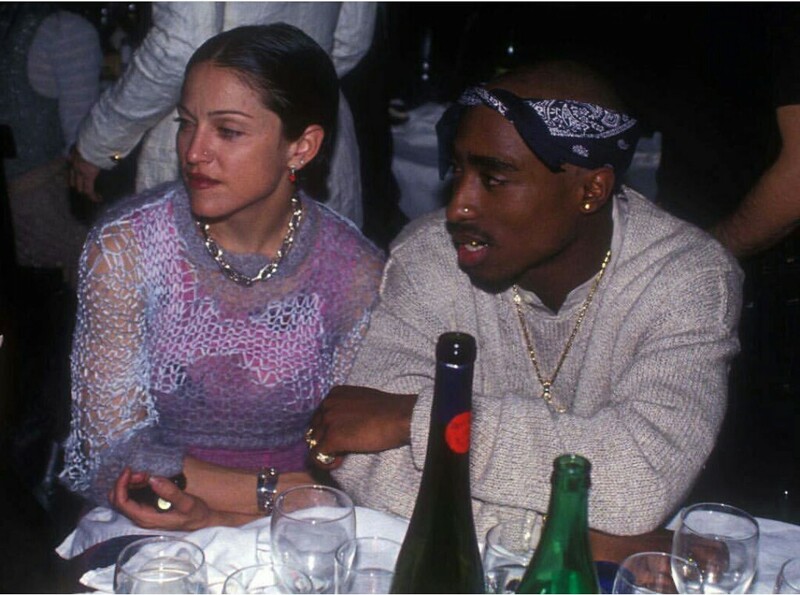 Tupac’s relationship with Madonna ran deeper than anyone knew. On Wednesday, TMZ published portions of a letter—written Jan. 15, 1995 at 4:30 a.m.—that Tupac wrote to Madonna while serving time for sexual assault at Clinton Correctional Facility. Gotta Have Rock and Roll will auction off the letter between July 19-28 with a starting bid of $100,000; according to TMZ, the last letter written by the rapper fetched more than $170,000. It shocks me when I hear people say Saidi Balogun is proud or arrogant! I think people, more often than not, tend to judge or characterize artistes based on the characters/roles they interpret on the screen. Even colleagues who have not had opportunity to be close to Saidi feels he has an aura of naughtiness, arrogance etc… but I have lived, dined, worked, travelled, argued, discussed, interacted with Saidi Balogun and I am telling you first hand that he is a humble man, he just has his ways. When Saidi has an argument or issue with someone, he may rant and say all sorts of things but the moment he leaves that spot, he would ask me “Abey, what did you see to what just happened?” If my reply was something like “Bros, you were at fault” he would go “Really?” and if I was like “Yes” he either makes a u-turn, go back to the person or places a phone call immediately and he would be like “Hello? Yeah my brother said I was wrong ooo, ok ma binu, I am sorry”. I am yet to see a Nollywood star who loves like Saidi. He is emotional, caring and loving. I think most times he tried to play hard, acting like he didn’t care but I can’t be fooled. He loves like Romeo. Little wonder he still talks about his wife (with people like us) affectionately. Saidi Balogun was the first actor/producer/director to come up with a highly-engaging two cast movie in Nigeria. This movie (MO DUPE TEMI), directed by Daniel Ademinokan which co-starred Doris Simeon, was not a short film but a feature-length movie, yet there was no boring moment from the first scene to the last. It was a hit movie. 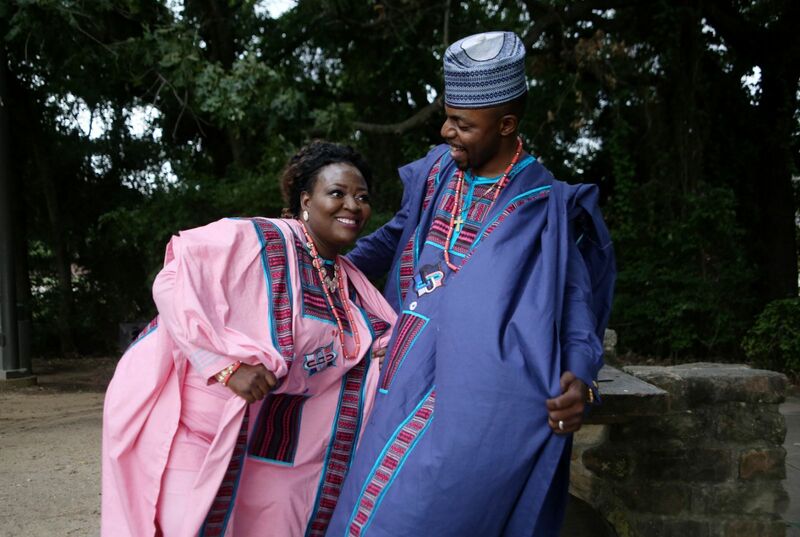 Saidi Balogun was the first producer to produce a movie whereby all the cast are clad in Ankara fabrics, a creative infusion in the movie ETI KETA. There are so many ‘firsts’ with Saidi Balogun and he just remains special and relevant till date. 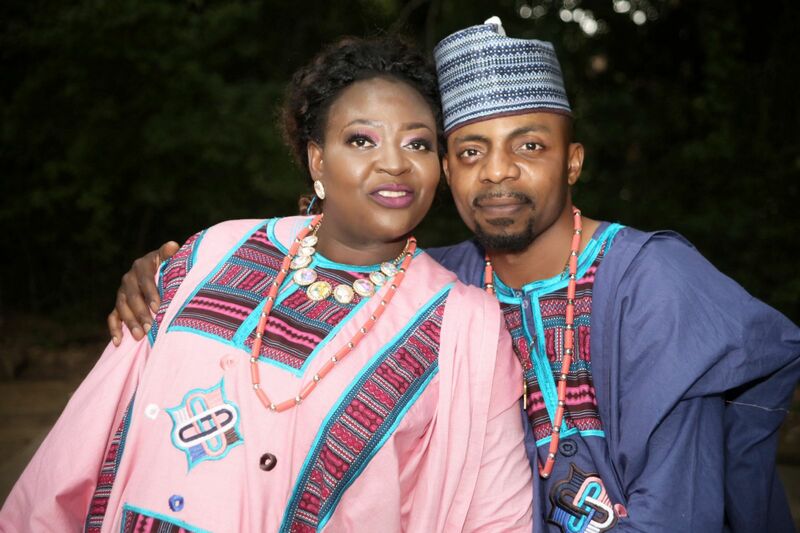 It is worthy of mention to know that Saidi is still the only actor in Nigeria who rocked the A-list position simultaneously with his wife, Faithia Balogun, for so many years. A feat that has been attempted by many in the past but failed. It’s either the wife or the husband hits the A gong but not the two at the same time but Saidi and Faithia broke this jinx. When I was his manager, sometimes, I would pass the night in his house and anytime there would be a new release of his movie, Saidi and a few guys would set out from midnight (12noon) and return around 5am. One day, out of curiosity, I decided to join them and I realized that in that five hours trip, Saidi Balogun and these boys had covered the most parts of the South-West, pasting posters around brigde poles, starting from the Shagamu-Abeokuta interchange to Ibadan, Oyo, Ogbomosho, Osogbo. This happens in the wee hours and when it is daybreak, people wake up to see new posters in strategic places. Beyond this distribution strategy, I also learnt from Saidi that the best errand is the one you sent yourself, when D.I.Y you just can’t go wrong. Saidi Balogun is indefatigable, he monitored a lot of successful things we saw back then himself, from start to finish. 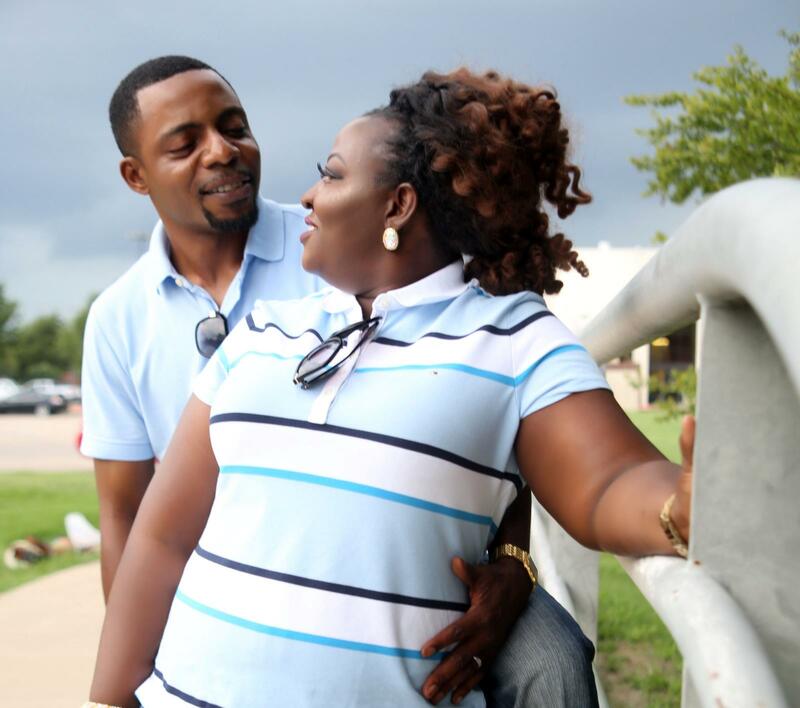 I saw him produced a movie ‘GBEWIRI’ for three years, putting all his weight behind that movie. It takes a special grace to be that fine and also be hard-working. When the news broke that marriage between Star actress Faithia Balogun and Saidi Balogun is dissolved, the duo lived apart, yes you know that, but what you may not know is that while Josephine and Esther (Faithia’s sisters) moved in with Faithia, Kenneth Williams (Faithia’s brother) moved in with Saidi Balogun. 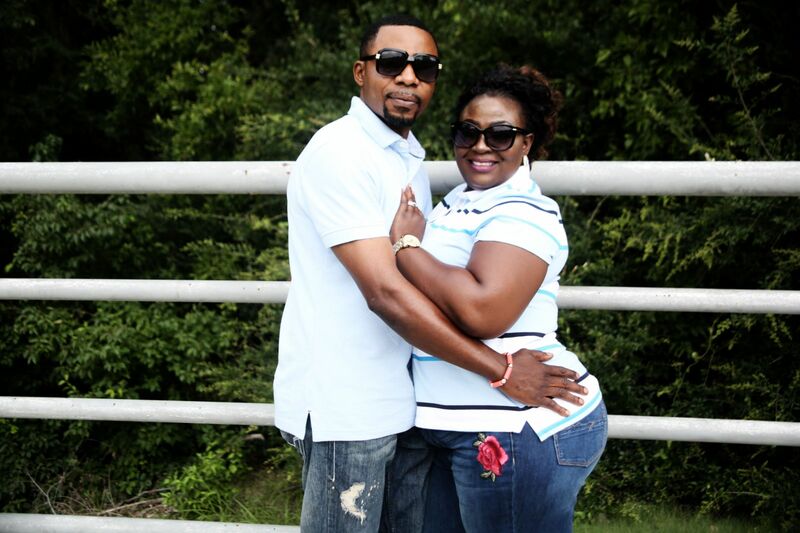 Kenneth remained a manager and best friend of Saidi Balogun. Kenneth continued to live with Saidi until he got married, an occasion where Saidi stood as the father of the day! Who does that? Saidi Balogun had a fatal accident, he had a broken skull, broken spine, broken arm, broken neck and miraculously he survived, that is not the wow factor here. The wow-factor is, the first time Saidi opened his eyes and saw me beside him, he said “Abey, get a pen and paper” I was like “for what?” he said “I have an idea of a story” I was like “Are you crazy?” he replied no, but the story is (crazy) GAMBARI PA FULANI! I wanted to laugh but the ambience was not funny, here is a lucky man who managed to survive because Obasanjo just equipped UCH with state of arts equipment, opening his eyes for the first time and talking about a story for a movie… who does that? Saidi Balogun is full of the who-does-that attributes, that is what stands him out. That is why he is special. 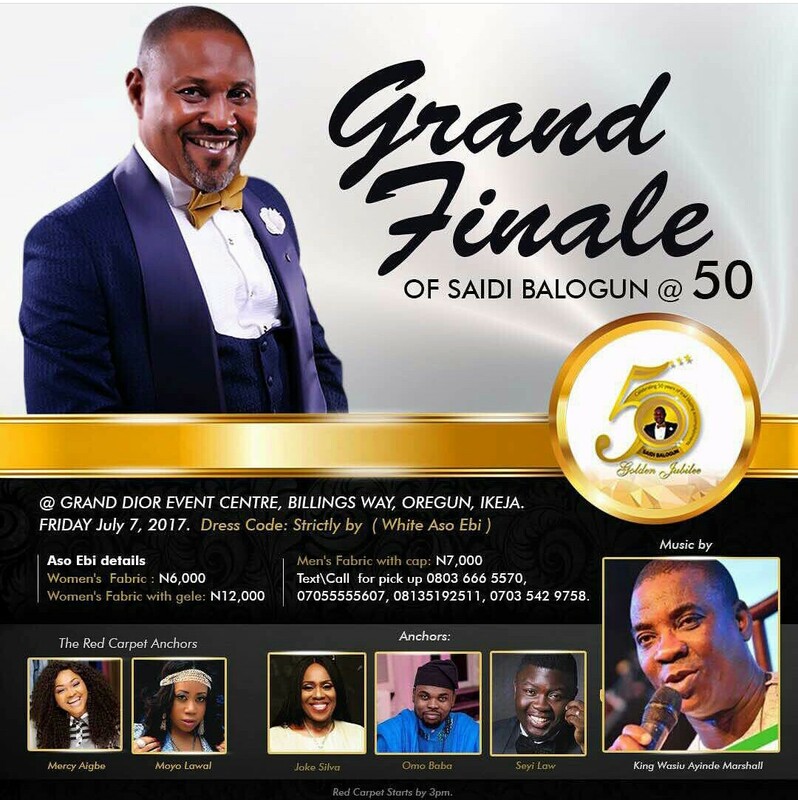 For these few reasons and a lot more, I think the entire Nollywood stakeholders should come out to celebrate this enigma, this special breed called Saidi Balogun as he celebrates his 50th birthday starting from July 4th. Happy Birthday Boss! I learnt a lot from you. Remain blessed. 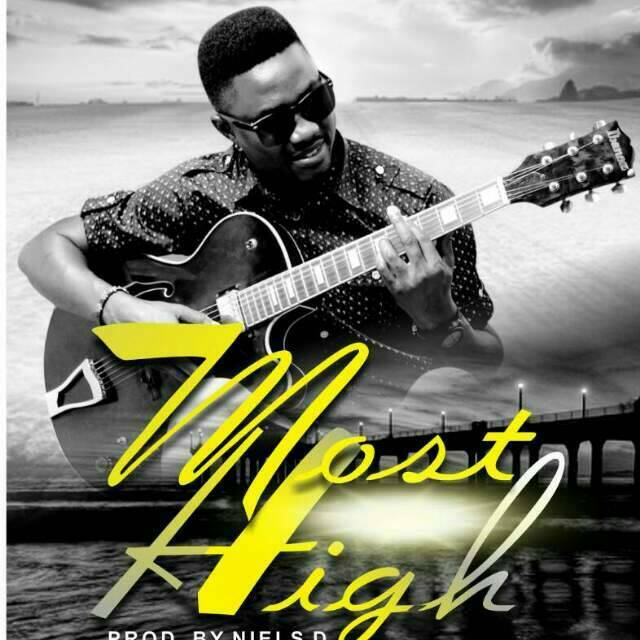 Here comes a brand new single Titled ”MOST HIGH” from a high Praise Leader known as David Innocent Who goes by the stage name ”Da’Inno” under the ministry known as Da’Inno Music Emprie (DME). 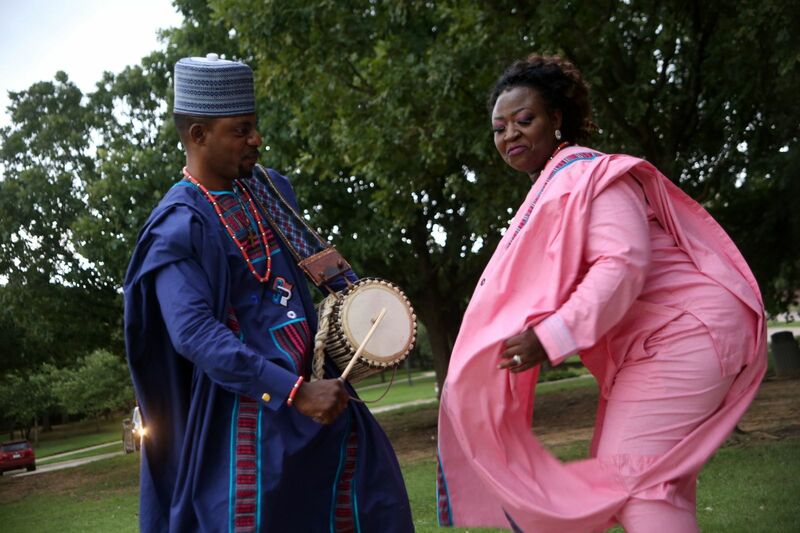 Da’Inno is a Nigerian, hailed from the northern part of Nigeria, Benue state to be precised. Da’Inno is born again, God fearing, easy going, sweet, good looking young man. He is a computer scientist by profession. Da’Inno is called into the gospel music ministry to lead people into God’s presence & at the same time lead them to Christ. 2 Serve the Lord with gladness: come before his presence with singing…. King James Version (KJV). You are delivered as you download, listen & praise God with this song ”MOST HIGH”. 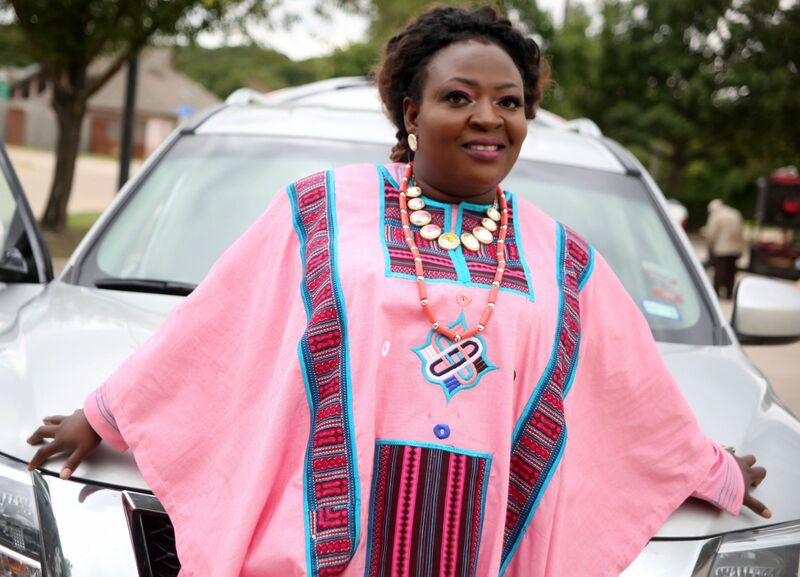 O na na na…………… Let’s Shabach The Lord… Chai! There is None like You.. 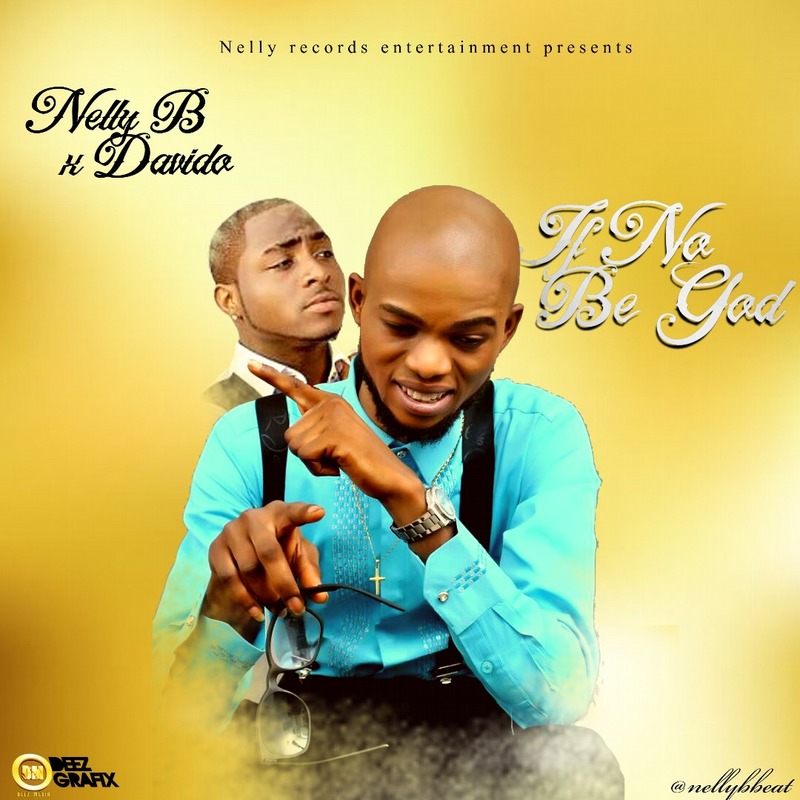 In anticipation for “THE KEY” EP by Front liner and CEO of Nelly Records Entertainment Nelly B jump on the wavy and trending track by Davido “If” titled the single “If No Be God“. Download, Listen and Enjoy Good Music! Ariana Grande has released a statement regarding the fatal incident at her Manchester, England show. The 23-year-old singer broke her silence on the 19 confirmed fatalities and the estimated 50 people who were injured following her concert on Monday [May 22]. “broken. from the bottom of my heart, i am so so sorry. i don’t have words,” Ariana tweeted. Our thoughts and prayers are with all those affected.